Benni McCarthy’s men take a 1-0 lead into the second leg, thanks to Fielies’ second-half strike. Perhaps Mosimane was looking at the grander plan when he selected his team, as the Brazilians have a do-or-die Caf Champions League encounter with Guinea side Horoya AC on Tuesday. He fielded Lucky Mohomi, who had not kicked a ball since last October, while the likes of Sphelele Mkhulise and Mosa Lebusa were handed their debuts as key personnel were rested for tomorrow’s match, which Sundowns must win to make the Champions League quarterfinals. “Sundowns shocked us with the team they had, we didn’t plan for such a squad. But at the end of the day we are all professionals and we have to adapt to what happens,” Fielies told SuperSport TV when he received his Man-of-the-Match award. 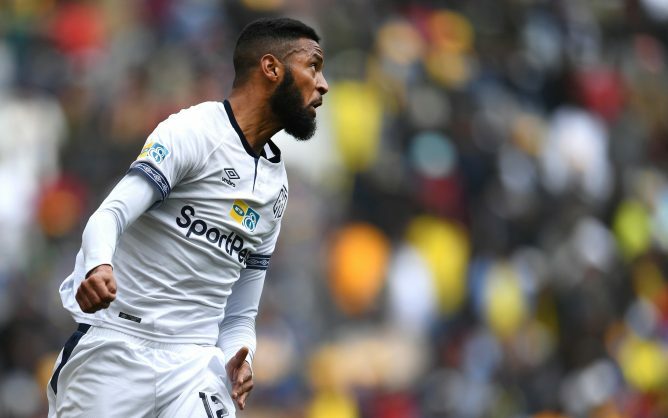 The second leg will take place on September 2 at the Lucas Moripe Stadium in Atteridgeville, where Fielies is confident that City can build on their 1-0 advantage to advance to what would be a second successive final. “We only have one foot in the final and we can’t get ahead of ourselves. I am happy with the result and I’m looking forward to the second leg because we have a goal to defend. The game is going to be very difficult,” said Fielies. Masandawana may have lost the game but Mosimane was not particularly disappointed, as he banks on the second leg to turn the tie around. “We should give credit to Benni, he is doing well and playing a good brand of football, it is beautiful for our country to have young coaches playing like this. “I am not unhappy with my team. It was just change of personnel but not a change of the philosophy. We have to give them a chance to play,” Mosimane told SuperSport TV.